GATE is a highly competitive exam which demands backbreaking hard work coupled with a strong determination to crack the exam. Owing to the extensively vast syllabus of GATE EC, it becomes difficult for the candidates to figure out the topics from which questions are expected in GATE. 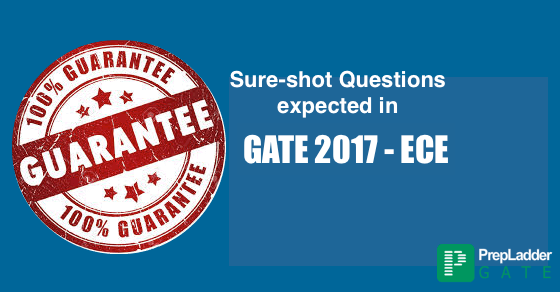 Keeping the candidates’ concern in mind, our experts have devised this article which will cast light on the sure shot questions expected in GATE EC 2017. We are sure that the aspirants will surely get acquainted with the sure-shot questions expected in GATE EC 2017 by going through this article and will use the information to their advantage.